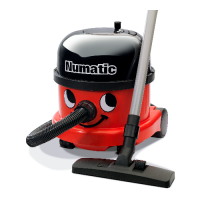 A range of vacuum cleaners for use around the house and home. From the tough Karcher Multipurpose Wet & Dry Vacuums to the famous Henry Vacuum Cleaner you are certain to find a tough and dependable vacuum cleaner here. Robust, compact and powerful; these are just a few words to describe t.. When accidents happen, cleaning them up is as easy as child's play.. The SIP 1400 / 20 Wet & Dry Vacuum Cleaner has a 20 Litre capacity and..
Leave the dusty broom, or the old dustpan and brush behind – the only .. The SiP 1400/35 Wet & Dry Vacuum Cleaner has a 35 Litre capacity and i.. The Karcher AD 4 Premium ash and dry vacuum cleaner with energy effici.. The Karcher WD4 Premium Multipurpose Vacuum Cleaner is powerful and ro.. The Karcher VC5 Premium Handheld Vacuum Cleaner delivers the kind of p..